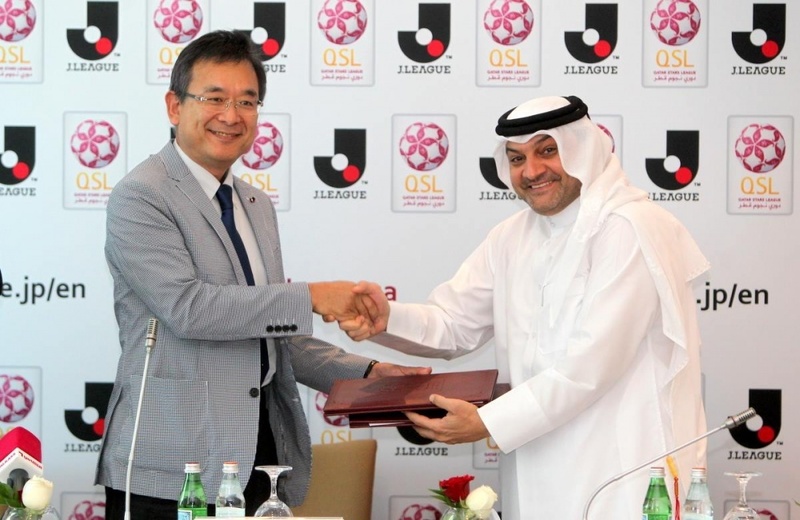 On Saturday, 23rd May 2015, Japanese Professional Football League (J.League) announced that it had signed a partnership agreement with Qatar Stars League (Qatar League). This is the 9th partnership agreement that J.League has signed with overseas pro leagues including Thailand, Vietnam, Myanmar, Cambodia, Singapore, Indonesia, Iran and Malaysia. Among all the partnership agreements made in South East Asia so far, the biggest point of difference is the first point in the agreement as given below. It emphasizes the efforts required for strengthening the Japanese team for the 2022 Qatar FIFA World Cup. (It also mentions the strengthening of the Qatar team for the 2020 Tokyo Olympics) With this agreement as a base, J.League wants to revitalize the exchange with Qatar regarding the training aspect and create a strong team of trainers for the world cup. IFAF has already mentioned previously the possibility of starting of International Tournament at Qatar in order to strengthen the relationship with the host country for the world cup to be held in the Middle East. Every time, for the qualifying round for the World Cup, the teams from the Asian countries gather at the Asia cup but there are not many such chances for the Asian teams to play serious matches to improve the game. With this new tournament in Qatar, there is an opportunity to gather strong teams like Australia, Korea etc and have a good competition. This will definitely help the growth of Asian teams and also strengthen them to play against the world’s best teams. The Partnership Agreement with Qatar is the first step in that direction. 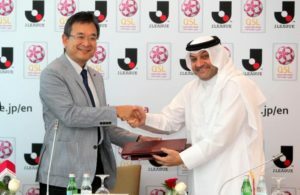 This Partnership Agreement is not just between the Leagues of the two countries but also involves the Football Associations of both Japan and Qatar. To hold the exchange program for trainers by organizing training camps, friendly matches etc. in order to strengthen the teams of both the countries for 2020 Tokyo Olympics and 2022 Qatar Football World Cup. Organize friendly matches in both countries. Share knowledge regarding sports science and medicine. Share knowledge regarding construction of sports facilities and sports goods. Share knowledge regarding the League Organizational system, HR development and training. Share knowledge regarding counter measures for match fixing and sports integrity. Share knowledge regarding club licensing and financial fair play. For all the points mentioned above, match the stake holders of both the countries and create business opportunities for them.